In the scenario where you really want one of our Great Guitars, and you want to use one of your ‘cast-offs’ to pay for it, then we may be able to help you through a part-exchange or vintage guitar trade. When we trade vintage guitars we are selling you one of our guitars and buying one of yours, so we apply the same conditions we would when buying privately. Here’s how trades and part exchanges work with us at Just Great Guitars. We will take your old guitar off your hands for you, at a price that we can realistically sell it for. 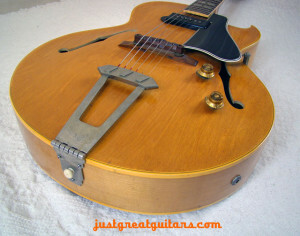 Unless it’s a vintage Gibson, that price will be less than you could get if you sold it yourself privately. And, everything is subject to our buyer carrying-out a hands-on inspection. If the guitar is in the condition you describe, then this is very straight-forward. We’ve done successful part-exchanges from countries around the world. We agree a price to buy your instrument, subject to hands-on inspection. You pay the difference in price. 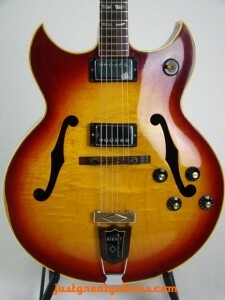 You get your instrument to us for inspection and we confirm price and condition. We send you your new guitar, or return your old if the transaction cannot be completed as anticipated. Should you decide to return your purchase, then we will do our best to unwind the transaction but we cannot offer the same returns policy as if you purchased outright from us initially. Obviously, this can be done in moments face to face, however the internet means that it’s more often international. It’s great that it’s possible, but it does take a while. Occasionally we agree to sell something on behalf of a customer or personal friend. It works like this: we agree a price that you will be paid when we sell the item. If it doesn’t sell, we return the item. The usual scenario for this is that it’s something we don’t want to buy for stock but we want to help the person to sell it. We don’t take commission sales. We know that you don’t really want to get rid of your old or vintage guitar, but you have no choice. Either you need the cash, or the space, or your partner is keeping count of the number of guitars you have in the house. It’s no good comparing guitars to shoes or handbags, or explaining why each one has a different style, you are stuck at 5 guitars. So if you are going to get another, one has to go. The ideal is therefore to trade with a dealer. You get the guitar you want and the dealer takes the one you don’t. Doesn’t matter that yours is worth more, or that you are paying too much for the new – it’s just convenient – we know, we get it! So, yes, we can take your old guitar in part-exchange but we’ll give you what it’s worth rather than paying you too much because the one you are buying is overpriced. You still get to walk out of the house with one guitar and walk back in with another – one out, one in – everyone is happy and it’s fair to all.